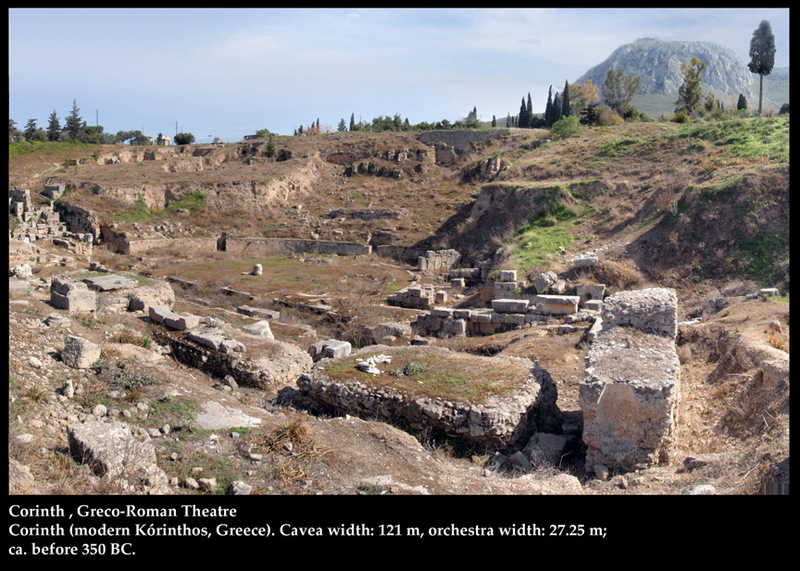 The theater of ancient Corinth was rebuilt on top of an older one, whose first building phase dates back to the end of the 5th century. This first theater was built on a natural slope with stone seats in the cavea but with a wooden stage. 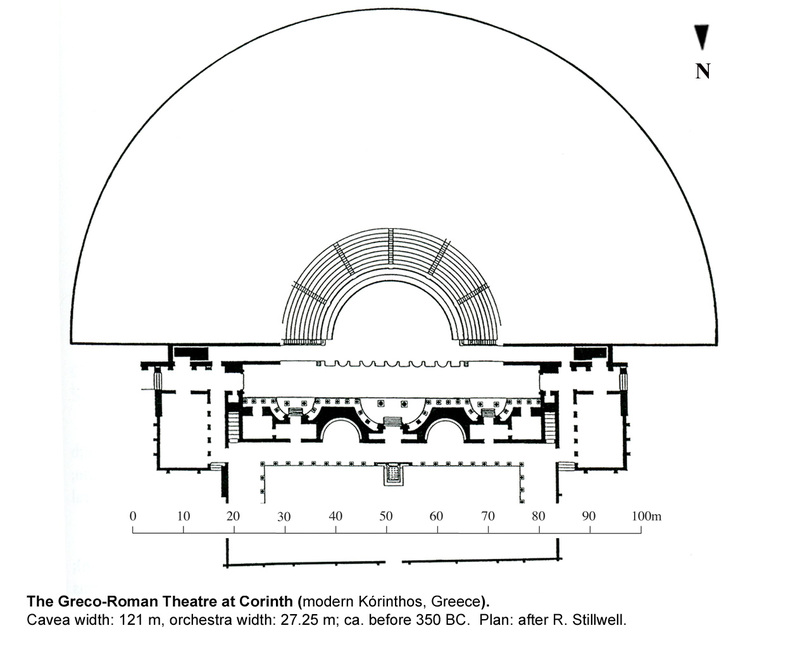 In the Early Hellenistic period, its hollow was extended and its capacity was estimated to have reached around 18,000 spectators. It was divided into fourteen tiers, it had sixty-six rows of seats, and its shape was more than a semicircle, as it served as a recreation venue and green space, with the stage being joined by stairways framed by pillars and columns. © This website is copyright protected. Pages may be downloaded, printed, copied, and distributed as long as they remain unchanged and The Ancient Theatre Archive is given due credit.Last Update 12/20/2017.